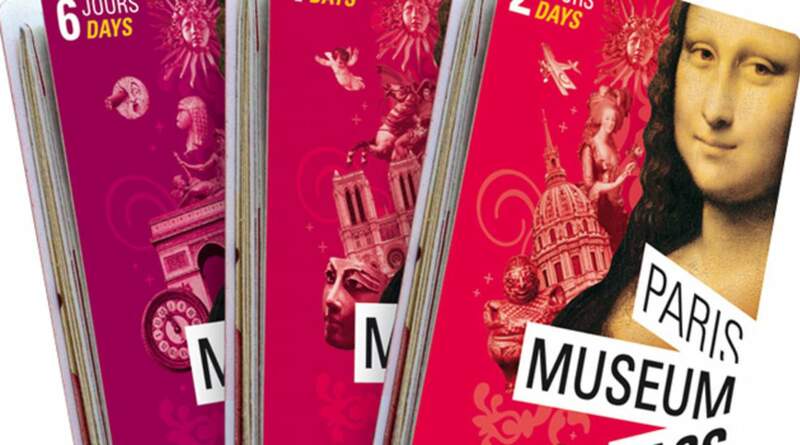 The Paris Museum Pass includes entrance tickets to: Musée d'Orsay, Arc de Triomphe, the Louvre Museum, Notre Dame, the Pompidou Center, Sainte-Chapelle and many more! Remember, the more you visit, the more you save! The best pass for Paris. You can go all the places in Paris. No queue no ticket. Just show the pass. Get US$5.4 back in Klook credits for your next trip when you book this activity! Complete this Klook activity to get 10% of the activity cost back in free credits to use on your next booking. For example, book US$54.00 to get US$5.4 free credits. Hailed as the center of the art world, Paris is universally famed for its magnificent museums and beautiful galleries, most of which should feature on anyone’s cultural bucket list. 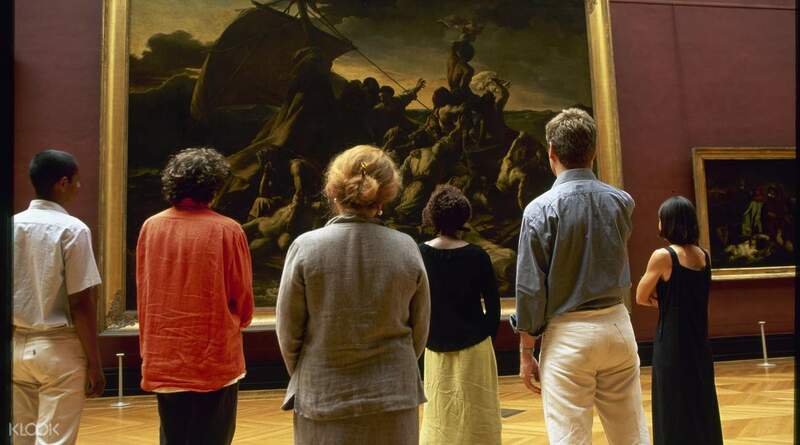 With the Paris Museum Pass, you can enjoy unlimited access to the best of the city’s museums and monuments without queuing up or paying for tickets. Discover some of the world’s most celebrated artworks in the largest and most iconic museum in the world, the Louvre, walk through the bright corridors of modern art at the Pompidou Center and be mesmerized by the kaleidoscopic lights of the medieval Sainte-Chapelle church. Venture outside of the city to explore the lavish palace and grounds of Versailles - the former home of Marie Antoinette, the breathtaking 16th Century Château de Fontainebleau, or even traverse our solar system at the Air and Space Museum. With access to over 50 attractions and 2-day or 4-day pass options, this is the ultimate ticket to exploring Paris! THIS IS A MUST PURCHASE IN PARIS. It will just make your life there more convenient because you dont have to queue in buying a ticket individually per museum, alsooo you get to be prioritised in entering the sites. It’s so helpful for us given that we squeeze all of what we liked in 2 days, and the museum pass just helped us in not wasting time in queueing and buying. IT HAS A LOOOOT OF ACCREDITED SITES/MUSEUMS TOO. Even going up to Notre Dame and the Arch De Triomphe is there. Looking for the office is not hard as well, cause it is just literally in the street of the Opera. THIS IS A MUST PURCHASE IN PARIS. It will just make your life there more convenient because you dont have to queue in buying a ticket individually per museum, alsooo you get to be prioritised in entering the sites. It’s so helpful for us given that we squeeze all of what we liked in 2 days, and the museum pass just helped us in not wasting time in queueing and buying. IT HAS A LOOOOT OF ACCREDITED SITES/MUSEUMS TOO. Even going up to Notre Dame and the Arch De Triomphe is there. Looking for the office is not hard as well, cause it is just literally in the street of the Opera. Arrived Paris by train around lunch time so after check in went to get the pass which was conveniently located near Lafayette. Could get the shopping and dining done at the same go and usefully spend the afternoon. Activated the pass the next morning and managed to skip a number of queues. All attractions have a security check now and this pass will not give you priority queuing for that. But once you get in, go look for the priority access or the separate line for people already with tickets, that's where you go. For the Notre Dame, the tower is by sessions so download the official queuing app and grab a ticket before heading over, once it is your turn, just follow the group and show the ticketing office upstairs your Pass. I would recommend getting the most use out of it by going to popular museums on the day they have night opening. This way you can go to other places during the day. Arrived Paris by train around lunch time so after check in went to get the pass which was conveniently located near Lafayette. Could get the shopping and dining done at the same go and usefully spend the afternoon. Activated the pass the next morning and managed to skip a number of queues. All attractions have a security check now and this pass will not give you priority queuing for that. But once you get in, go look for the priority access or the separate line for people already with tickets, that's where you go. For the Notre Dame, the tower is by sessions so download the official queuing app and grab a ticket before heading over, once it is your turn, just follow the group and show the ticketing office upstairs your Pass. I would recommend getting the most use out of it by going to popular museums on the day they have night opening. This way you can go to other places during the day. The Museum pass is a must get when in Paris! By visiting about 3 museums, you breakeven with the cost. Do remember to plan when the activation date is for the pass though so that it doesnt expire before your museum visits. Louvre opens till late on Wednesday and Friday, so we visited and with less crowd, it was more enjoyable! The Museum pass is a must get when in Paris! By visiting about 3 museums, you breakeven with the cost. 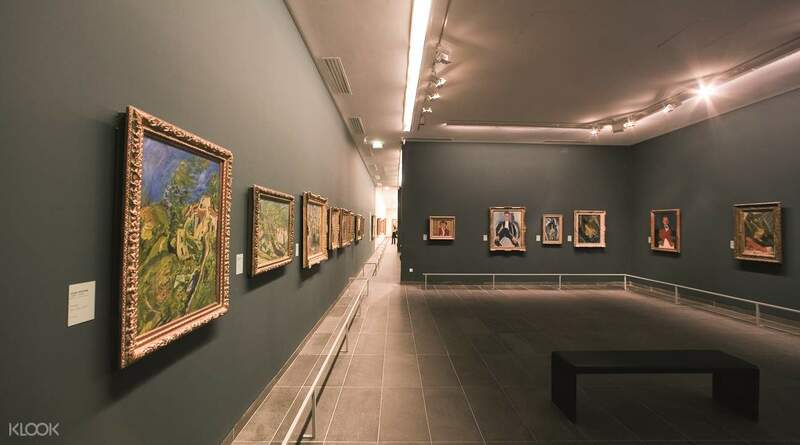 Do remember to plan when the activation date is for the pass though so that it doesnt expire before your museum visits. Louvre opens till late on Wednesday and Friday, so we visited and with less crowd, it was more enjoyable! Collection area was quite easy to find and quite near the Louvre, which was the first place I used the pass for. I think the pass was worth even you intend to visit less than 5 places as the express queue is really ideal. Collection area was quite easy to find and quite near the Louvre, which was the first place I used the pass for. I think the pass was worth even you intend to visit less than 5 places as the express queue is really ideal. Great Pass, free to access most of museums, we have been Musée du Louvre, Arc de Triomphe, Château de Versailles, the tower of Notre Dame de Paris, and Musée d'Orsay, all covered by this pass. Great Pass, free to access most of museums, we have been Musée du Louvre, Arc de Triomphe, Château de Versailles, the tower of Notre Dame de Paris, and Musée d'Orsay, all covered by this pass. Real value for money! A must have if you want to enjoy paris history at a lesser cost and maximize your stay by saving time through skipping the line. Plus the pick-up point was easy to find! Real value for money! A must have if you want to enjoy paris history at a lesser cost and maximize your stay by saving time through skipping the line. Plus the pick-up point was easy to find! No hassle to redeem the ticket at office....if u hv time u can access to many museums using this pass...but v onli have time to go Louvre museum n arc de triomphe...Louvre museum is soo big n u will walk till ur feet off! Is soooo amazing!!! No hassle to redeem the ticket at office....if u hv time u can access to many museums using this pass...but v onli have time to go Louvre museum n arc de triomphe...Louvre museum is soo big n u will walk till ur feet off! Is soooo amazing!!! It was great and worth paying, however the next day is first Sunday of the month. It is free for all Museum in Paris. No need to pay for entrance fee. However it was crowded like nobody’s business. Do check online about the offer for individual country. It was great and worth paying, however the next day is first Sunday of the month. It is free for all Museum in Paris. No need to pay for entrance fee. However it was crowded like nobody’s business. Do check online about the offer for individual country. It saves my time for queuing at the entrance of Musée du Louvre and avoid the inconvenience when it was raining. I could also travel at the front of the tour group to the Clock Tower of Paris Notre Dame Cathedral because I didn’t need to buy a ticket at the ticket office. However, it took some time to find the theatre for collection of the Museum Pass. KLOOK may provide detailed map, eg Google Map, of the theatre to facilitate customers. It saves my time for queuing at the entrance of Musée du Louvre and avoid the inconvenience when it was raining. I could also travel at the front of the tour group to the Clock Tower of Paris Notre Dame Cathedral because I didn’t need to buy a ticket at the ticket office. However, it took some time to find the theatre for collection of the Museum Pass. KLOOK may provide detailed map, eg Google Map, of the theatre to facilitate customers.